ISLAMABAD: As the policy level talks between Pakistan and International Monitory Fund (IMF) are underway, the IMF team is scheduled to visit the Ministry of Planning tomorrow (Wednesday) to discuss the China Pakistan Economic Corridor (CPEC) and other development projects. 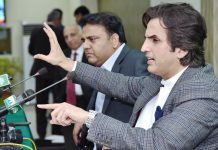 According to sources, the IMF mission will meet Planning and Development Minister Khusro Bakhtiar at his office to discuss the CPEC projects and other activities under the multibillion-dollar programme. The planning minister on Tuesday held meetings with the relevant officials of the CPEC-related projects in order to complete his homework before his scheduled meeting with the IMF team. The planning secretary, who had returned from China after a follow-up meeting with the Chinese officials, also briefed the minister on the workings of CPEC. According to insiders, apart from the ongoing and approved development projects, the IMF mission may inquire the officials about the future plans under CPEC as well. Since the government has decided to share data related to CPEC with the international lender, the ministry would be providing all details to the visiting team. Sources said that the IMF team members, in various meetings, have shown concerns over the implications of CPEC energy contracts on the fiscal framework. During the previous meetings on CPEC projects, discrepancies worth billions of dollar were surfaced between the figures quoted by Islamabad and Beijing on account of the cost of ongoing and completed projects, they added. The IMF team, this week, will also hold meetings with officials of ministries of commerce and industry to discuss trade and tariff issues. Earlier on Tuesday, Finance Minister Asad Umar held a meeting with the visiting IMF mission, led by Harald Finger. According to official sources at the Ministry of Finance, the mission leader shared his initial assessment with the finance minister on various sectors of the economy, followed by the delegation’s interaction with officials of relevant ministries and entities. As per the official statement, the finance minister shared with the delegation his government’s vision on the economy and referred to the corrective measures being taken to remove imbalances in the economy. He said that the new government had come to power with an agenda of wide-ranging reforms, adding that the government has a strong resolve for implementing deep structural and institutional reforms. “The government is committed to safeguarding the poor and vulnerable segments of the society and shall invest more in social protection, human development and creating employment opportunities,” the minister added. 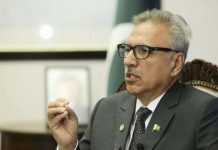 Along with structural and governance reforms, revival of the domestic industry and export sector are among the top priorities of the government, he said, adding that Pakistan looked forward to receiving IMF’s support that will help the government achieve an economic turnaround. The mission will continue its discussions with the relevant authorities during the next few days. The mission is likely to conclude its visit by November 19.